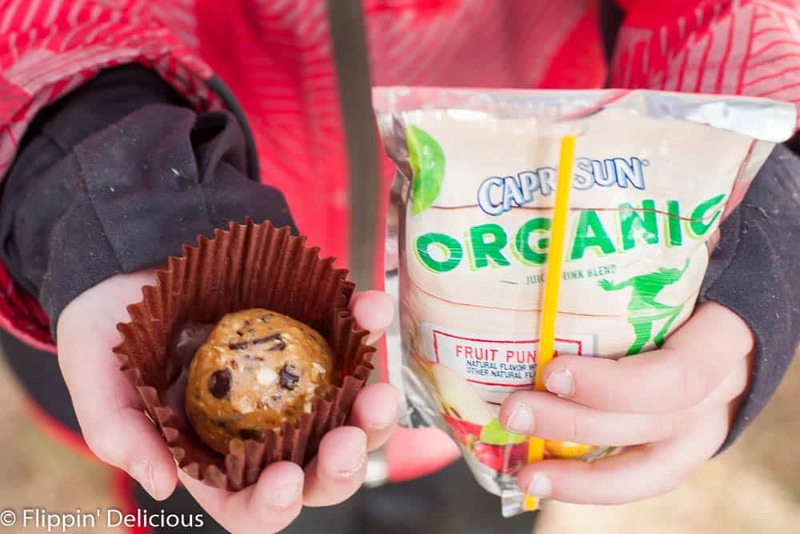 With some Peanut Butter Chocolate Chip Energy Bites, and Capri Sun Organic, better-for-you snacking is a cinch! As I have mentioned on my blog before, when my daughter first started preschool I had NO IDEA what to pack for her snack. I only had to pack her a snack, not a full lunch. As simple as that sounds my mind was blank. I couldn’t think of a single thing for her to bring to school! Since the school year is drawing to a close I felt like I had snacks down to a science. And then I watched my niece and nephew for spring break and I felt like I was starting over at square one. I was used to packing a small snack for my 3 year old or tossing a handful of cereal to my toddler. My niece and nephew are older and have much larger appetites! After the first day they spent with me I quickly discovered I needed to up my snack game. To satiate their hunger I recreated one of my favorite childhood snacks and also got some Capri Sun Organic for all the kids to drink. One of my favorite snacks when I was a kid was peanut butter balls. I remember making them with my mom, and then by myself. They were really easy to make. I just mixed equal parts peanut butter, honey, and powdered non-fat dry milk and then rolled the mixture into balls. Right now my toddler can’t have dairy, but I still crave the flavor of the peanut butter balls I had when I was a kid. 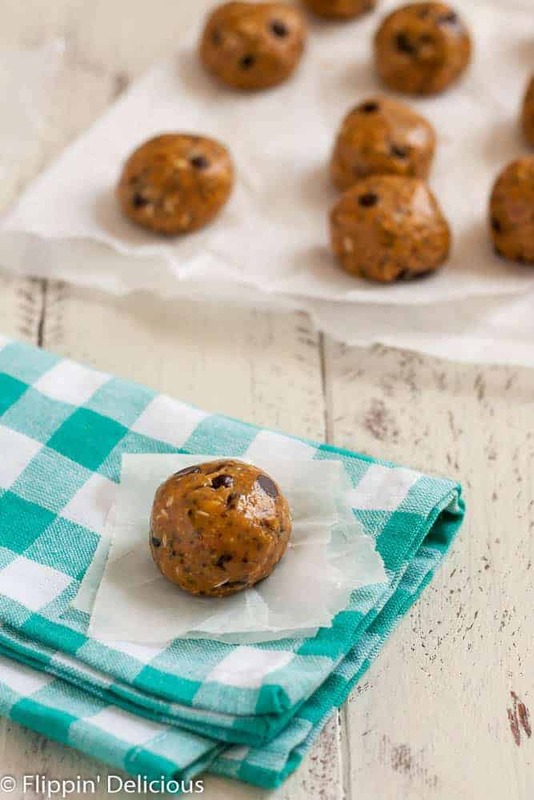 I wanted to re-make my favorite childhood treat but with better-for-us ingredients, and that inspired these peanut butter chocolate chip energy bites. They are full of real ingredients like gluten free oats for some fiber, chai or flax seeds for some omega 3s, and honey so that there are no refined sugars. And of course some mini chocolate chips, because chocolate makes everything better. 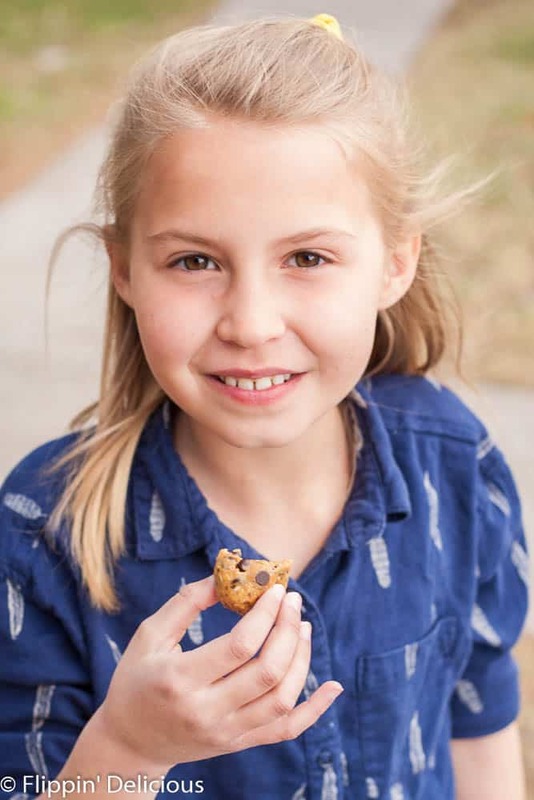 All of the kiddos enjoyed the peanut butter chocolate chip energy bites, and had no idea that I had snuck in some good stuff. When paired with peanut butter chocolate chip energy bites, Capri Sun Organic makes a perfect snack for an afternoon playing outside. It is sweetened with only fruit juice so there is no added sugar AND it is certified USDA organic. 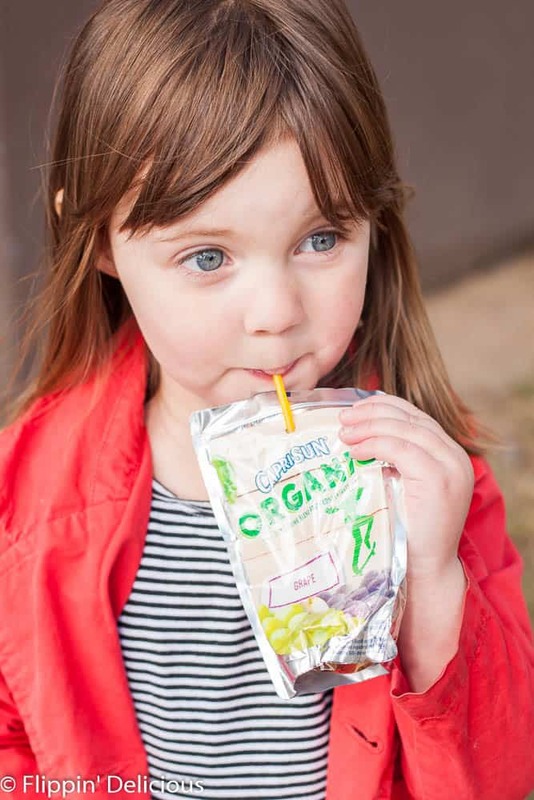 Each juice drink pouch has 1 serving of fruit – each pouch provides 1/2 cup fruit juice which is one serving of fruit according to the U.S. Dietary Guidelines. – 100% of the recommended daily value of vitamin C, and there are also no artificial flavors, colors, or preservatives. 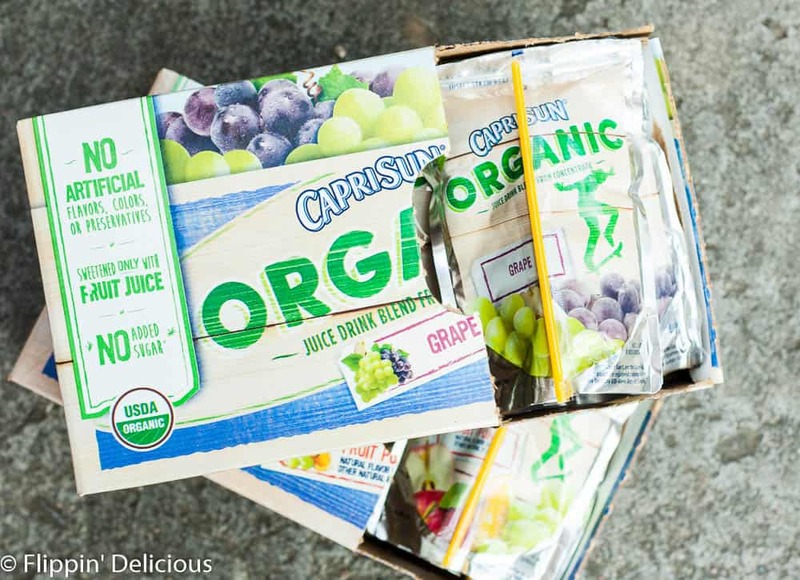 Capri Sun Organic comes in several different flavors, but we tried the Fruit Punch and Grape juice drinks. 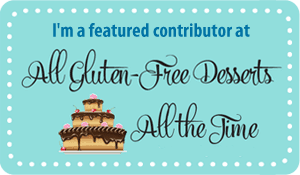 Having good snacks handy is important not only for my kids, but for me too! If I have healthy snacks handy I am less likely to bake a pan of brownies and eat too many. I am trying to make better choices in what I eat and what I feed my kids and I have found that Capri Sun Organic fits perfectly into our lifestyle. 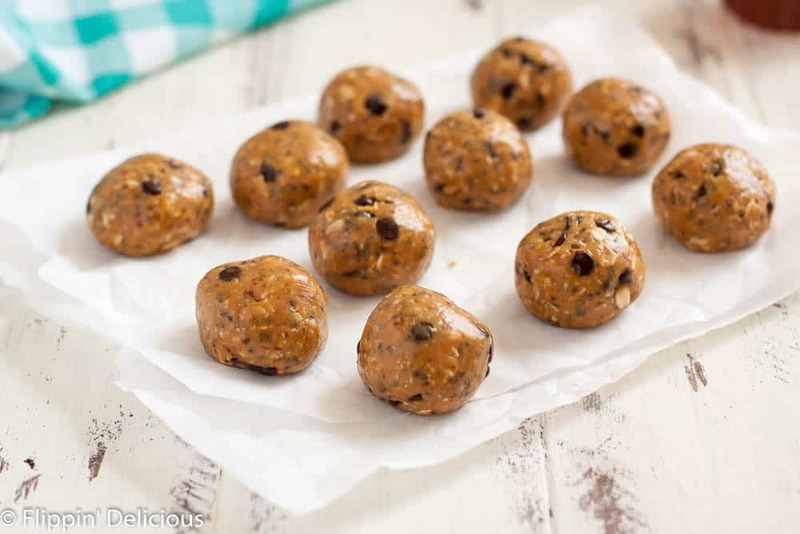 These Peanut Butter Chocolate Chip Energy Bites have all of the flavors of my favorite childhood snack and are filled with good things like gluten free oats, chia seeds, and flax seeds. In a bowl mix together the peanut butter and honey. Add the rest of the ingredients and mix until evenly combined. Scoop into 1½ Tablespoon portions (I used my medium cookie scoop) and roll into balls. 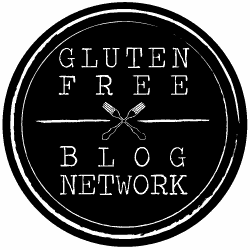 If you can't find gluten free quick oats just pulse gluten free old fashioned oats in your food processor or blender for about 10 seconds. Bites truly are some of the best snacks to have on hand! Who doesn’t like a sweet little ball of energy!!? These look so easy! I will have to make them! Anything peanut butter and chocolate is bound to be good … and such a sneaky way to get extra nutrition into our kiddos’ hands! I love Energy Bites – can’t wait to try your version! These sound like the perfect snack for my next road trip! Also, I have to try the organic Capri sun! That is a great idea, Ashley! I will have to make them for my next road trip! PERFECT afternoon snack combination for the kiddos … and ME! These would make a great breakfast, too. Any time peanut butter is involved in an energy bite, I am soooo there! Love this! Cutie girls!!! Those energy bites look wonderful and Capri Sun Organic is fantastic!